The following digital collections provide a starting point when looking for online primary resources. They are provided through subscription to UVM students, faculty, and staff. Large collection of archival and documentary streaming video. Search for videos by keyword or browse by time period, subject, people, places, and more. Each video includes a full transcript, can be browsed by viewing thumbnail images that can be adjusted to provide access at different timed intervals, and many include a detailed study guide. UVM users can register to take advantage of advanced features such as the ability to create short clips from longer works (great for showing clips in class or embedding into Blackboard! ), create play lists, and more. Comprised of two collections: American State Papers, 1789-1838 and U.S. Congressional Serial Set, 1817-1980. Search or browse both collections. Vast collection of high quality images many with historical interest. See for example the Schlesinger History of Women in America Collection and the Native American Art and Culture Collection. Primary source materials from the 16th to 18th centuries relating to Britain's presence and activities in America, Canada, and the West Indies. Full-text is available for (CO1) Privy Council and Related Bodies: America and West Indies, Colonial Papers while the Calander of State Papers, Colonial: North America and the West Indies 1574-1739 provides descriptive bibliographic information. Huge collection of digitized books, pamphlets, broadsides, and more dating from 1639-1800. Highlights include textbooks, cookbooks, hymnals, maps, literature, diaries, and more. Huge collection of digitized books, pamphlets, broadsides, and more dating from 1800-1819. Highlights include textbooks, cookbooks, hymnals, maps, literature, diaries, and more. This resource includes a wide variety of primary source materials from 1780-1925 on topics ranging from popular culture, colonialism, literature, religion, science, politics, and women. Online access to results of public opinion polls. Includes public opinion polls social issues, public policy, international affairs, and elections since , as well as other polls. Dates vary but polls are available as far back as the 1930s. This resource provides primary and secondary resources related to the history of women in social movements in the U.S. between 1600 and 2000. The following collections are available inanyone with internet access. Rich collection of primary materials. Highlights include: Broadsides & Printed Ephemera, Panoramic Maps, Daguerreotypes, and American travel narratives. Collection of primary sources related to the US Presidency. Includes speeches, executive orders, papers, press releases, debate materials, and more. Digital collection of documents relating to history, law, and diplomacy. Highlights include: American Revolution - a Documentary Record, The Federalist papers, and documents relating to the Cold War. Searchable guide to locating American portraits from the Smithsonian National Portrait Gallery. Search by subject, artists, or biographical details. Searches can be limited to those items with online images. Collection of documents relating to the Cold War maintained by the Woodrow Wilson International Center for Scholars. "The Cornell University Collection of Political Americana is comprised of approximately 5,500 Presidential promotional and commemorative items dating from 1789 to 1980." Access images, videos, and other cultural objects from museums and archives across the US. Includes digitized photographs, posters, and more. From the University of North Carolina, this collection, "provides Internet access to texts, images, and audio files related to southern history, literature, and culture." The Foreign Relations of the United States (FRUS) series presents the official documentary historical record of major U.S. foreign policy decisions and significant diplomatic activity. A digital library of primary sources in American social history from the antebellum period through reconstruction. The collection currently contains approximately 10,000 books and 50,000 journal articles with 19th century imprints. This collection presents twenty-three popular periodicals digitized by Cornell University Library and the Preservation Reformatting Division of the Library of Congress. Collection of texts of speeches by American Presidents from George Washington through Barak Obama. Many include audio and video files as well as the text. Complete list of collections from the Library of Congress Prints and Photographs division. Most have been fully digitized. Many are on topics relating to American history - wars, race, immigration, slavery, and more. Also includes materials with an international scope. Collection of pamphlets, lectures, and other materials on anti-slavery and abolution from Cornell University. Slavery & Abolition in the U.S. This collection is " a digital collection of books and pamphlets that demonstrate the varying ideas and beliefs about slavery in the United States as expressed by Americans throughout the nineteenth century." From TEVA - Tennessee Virtual Archive a collection of broadsides from the 19th and 20th centuries. Streaming video of archival newsreels. The Center for Digital Initiatives is a gateway to digital resources at the University of Vermont. 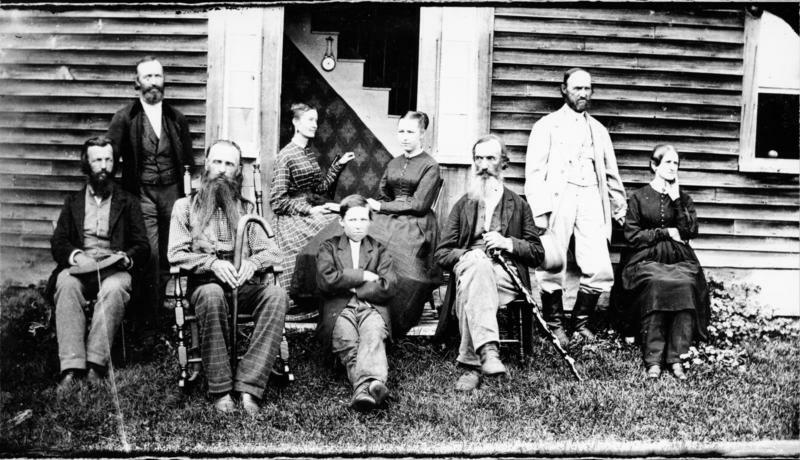 These include materials such as photographs, letters, speeches, and documents, with a current emphasis on public policy and Vermont history. The University of Vermont's Center for Digital Initiatives includes a growing collection of online primary source materials. Highlights inlcude Congressional Papers of over thirty Vermont Representatives since 1791; Congressional Speeches, materials relating to dairy history, and more. The History section of Reference & User Services Association has produced a great guide to locating Primary Sources on the Web. It highlights important online collections and provides useful information for evaluating and analyzing primary sources you find online.